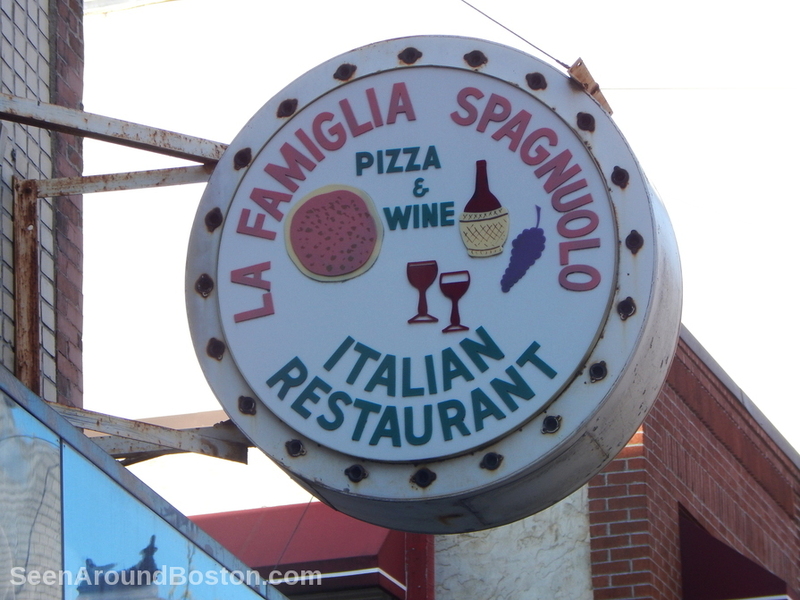 An Italian Restaurant in Boston’s North End. 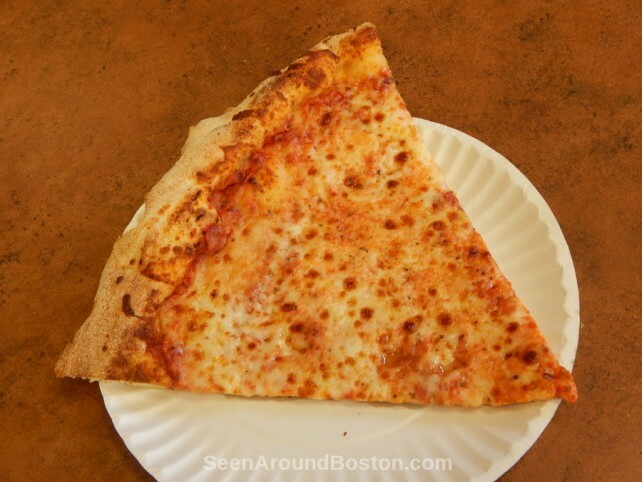 Where to go for the best slice of Pizza in Boston? 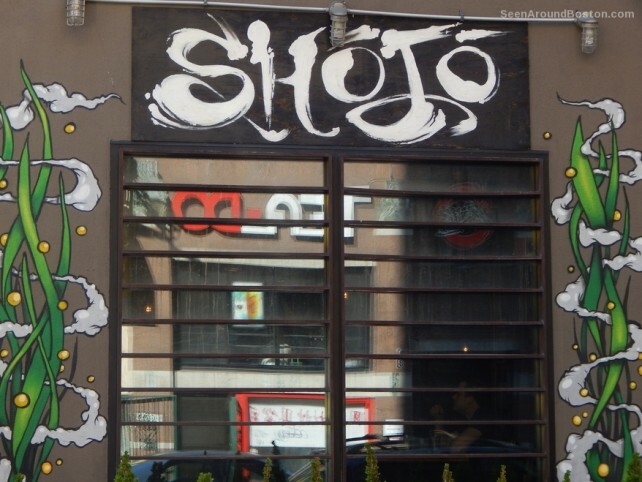 Chinatown! That’s right! 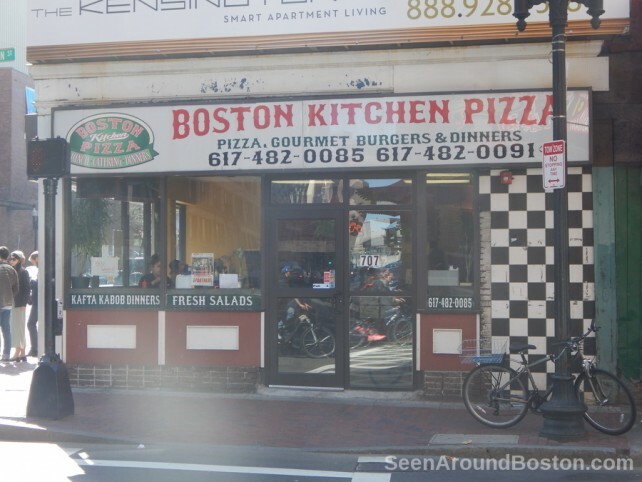 Boston Kitchen is located at the corner of Washington and Kneeland Streets. In addition to tasty pizza with your choice of toppings, they also offer calzones and pasta dishes. You see their boxes being carried around everywhere… at the parks, in the subway, people walking down the street. 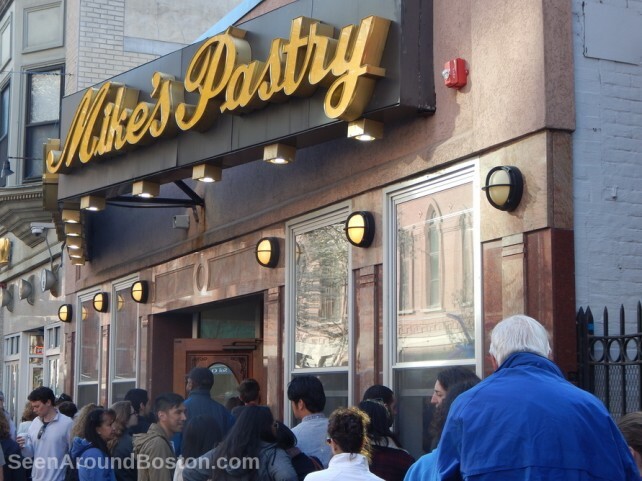 The ubiquitous “Mike’s Pastry” logo packages act as a viral advertising campaign all over the city. As a result of this, Mike’s is always mobbed; the line runs out the door, sometimes all the way down to the next block. Tourist tip: If long lines cramp your style, try Modern Pasty, also on Hanover Street. 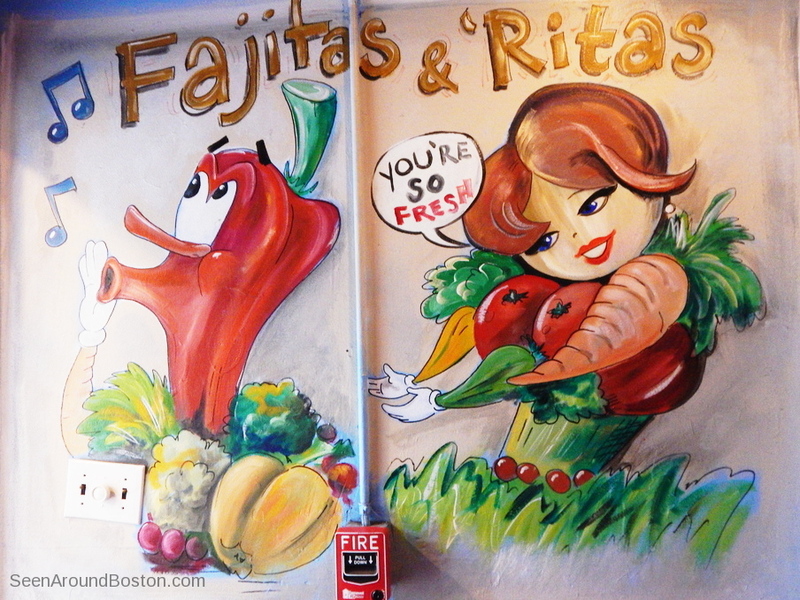 Muralized storefront on Tyler Street.